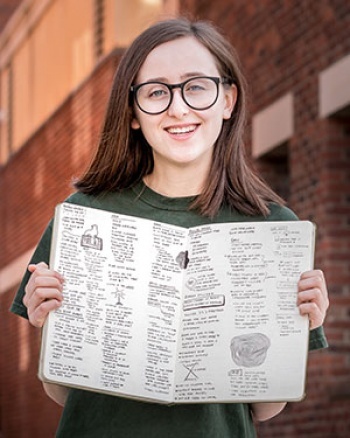 Clark Honors College senior Hannah Lewman was the lead content writer on UO 360, a recent project of the university's communications department. 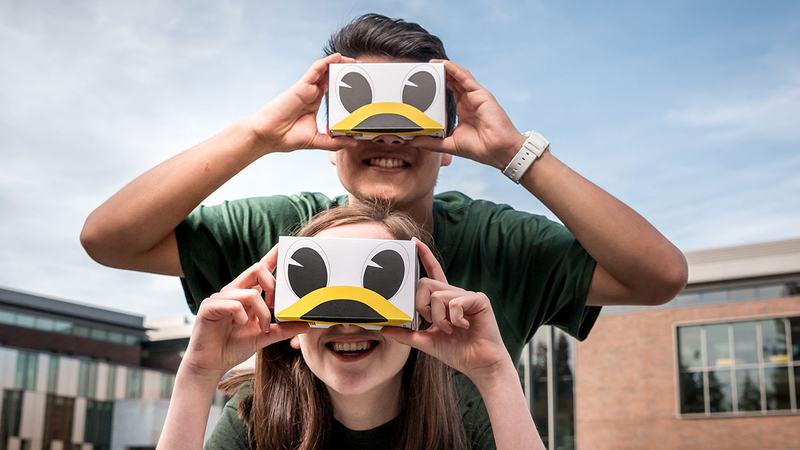 UO 360 is an app that uses 360-degree video technology to take prospective students on a virtual tour of campus. The app is intended to serve prospective students who can’t visit campus for an in-person tour, as well as those who want to get a feel of the space before they visit. Lewman was brought onto the UO 360 project through her work as a co-director at Allen Hall Advertising. Previously, she had worked on campaigns distributed regionally and on the UO campus, but the 360 project has elevated her work to a much wider audience. Lewman was brought onto the project fall 2017 with a number of other students to help brainstorm specific locations and experiences on campus that should be featured in the app. After the team settled on the UO buildings that app users could interact with, they sent a list to Lewman and tasked her with writing the names and descriptions of each location. While the objective was simple, the work was complex; Lewman had to consider the perspectives of students who had no connection to the university. Lewman had to account for the university’s unique brand voice and values in its communications, something that she has learned both from her advertising major and her time in the Clark Honors College. Ultimately Lewman wrote hundreds of options for the final project over the course of three months for the communications team to choose from. The work, while seemingly simple and straightforward, took intense analysis and editing before turning into the final copy. This experience has shaped Lewman’s interests in advertising as she nears graduation. She recently accepted an internship at 72andSunny, an advertising firm with its own in-house production studio, and lshe ooks forward to making ads that people truly want to engage with.